Horse of the Year Show, the biggest week of the year for equestrian entertainment, is returning to Resorts World Arena from Wednesday 2 - Sunday 6 October 2019. HOYS will showcase national and international showjumping classes, host the finals for the Pony Club Mounted Games Prince Philip Cup, and see the best of British show horses come forward for the finale to the showing season. Spread across five days, Horse of the Year Show is the ultimate celebration of the horse and has something for every member of the family to enjoy - food and fine dining, a shopping paradise, breath-taking displays and a chance to get up close and meet some of the horses themselves. 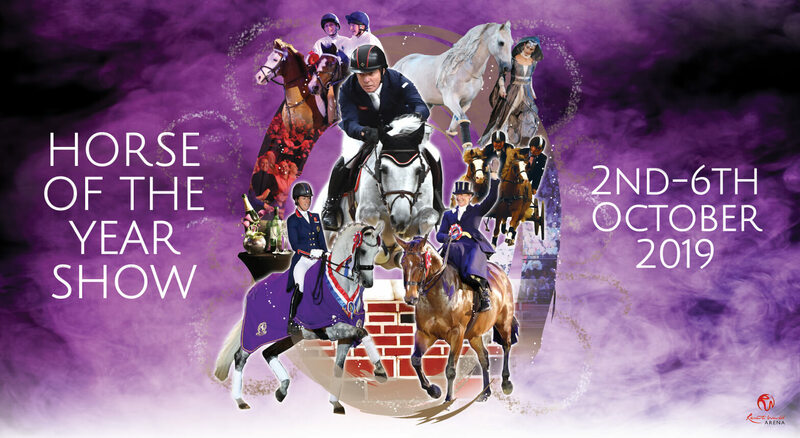 As one of the longest standing horse shows in history, HOYS is a spectacle not to be missed.